Saturday, October 27 • 5:30 p.m. – 9:00 p.m.
An experimental evening of tasty food and delightful birds from you. Get inspired for your winter birding vacation. 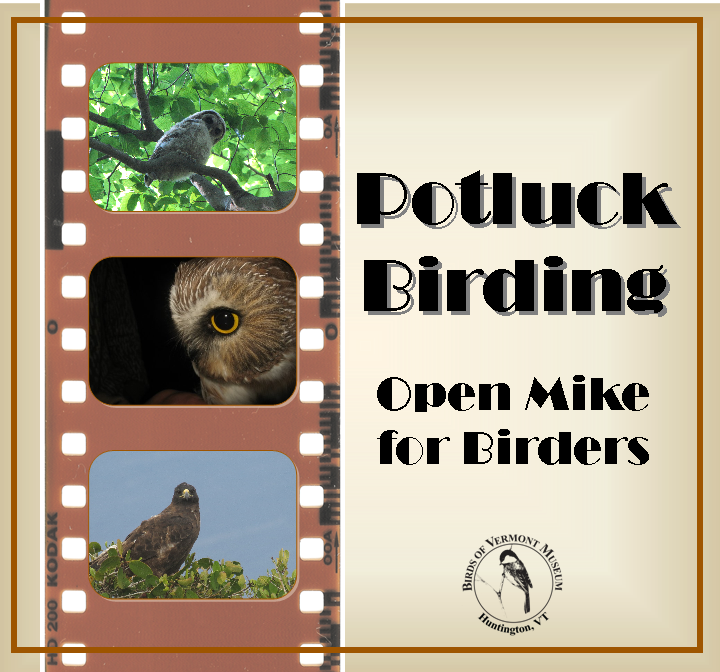 6:30-9:00: Share your favorite birding images, calls, stories, etc. Up to 15 images per presenter pre-arranged on a flash drive or CD. We have Picasa and an old version of Powerpoint. Please sign up for a presenting time-slot with the Museum so we can coordinate hard- and software! Free for participants; donations welcome. This entry was posted on October 22, 2012 at 11:26 am and is filed under Birding, Museum Events. You can subscribe via RSS 2.0 feed to this post's comments.